When hiring new employees, screening, evaluating and examining their background and references are essential. These practices not only help to ensure that you’re hiring a high-quality staff member, but they also help to protect your organization from workers with a poor reputation, low work ethic or those who have committed a crime. Consider the following three reasons why these hiring practices are necessary before bringing new staff into your company. Checking the references and evaluating the claims made on an application or cover letter helps human resources staff determine whether or not a particular person is qualified to do the job that he or she has applied for. References provide insight about a person’s work habits, such as whether the worker shows up on time or has frequent unexplained absences. Screening and evaluating an application is how employers are able to verify that an applicant has the degree and experience stated on the form. Evaluating a job applicant’s past positions, experience and accomplishments helps determine whether or not he or she will be a good fit for the organization. Combined with speaking to the applicant’s references, a human resources professional can determine whether a job applicant has the right personality to fit into the culture of the organization. Employees who fit into the organization’s culture are more likely to succeed and stay with the company. Conducting a background check on a job applicant ensures the safety of staff and the integrity of the organization. A background check may reveal that an applicant is not suitable for a specific position. A person convicted of theft may not be appropriate to hire as a bank teller or cashier, while someone convicted of drug possession or trafficking may not be appropriate for working in a pharmacy. This type of information can only be divulged through a comprehensive background check. Because the hiring process takes a company’s time, energy and financial resources, taking these steps helps an HR department wisely manage these assets. Avoiding gender bias and discrimination in recruitment ads is not just a friendly thing to do, it also helps your organization stay in compliance with the law. In everyday language, there are many biased words such as “mailman” or frequent use of the word “she” in a job description for a nurse. Using gender-neutral wording or a mix of gendered wording helps to attract an even mix of qualified candidates. These three strategies will help your organization avoid gender bias in recruitment ads and job postings. 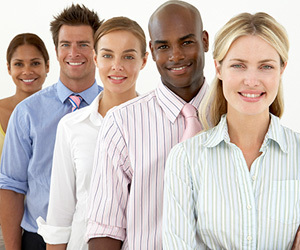 When writing a recruitment ad that addresses the employee, it is best to use the gender-neutral pronoun “they” or an equal mixture of the pronouns “he and she.” Managers and human resources personnel who stick with gender-neutral wording can use the singular “they/their” when referring to the candidate. Using a mix of masculine and feminine wording is another good option, but this should be considered second to the use of gender-neutral wording because there is still the potential to show bias. Some gender-biased words are not as obvious as “he/him” and “she/her.” In a recruitment ad, there are many biased words that may not be overt in their tone. “Community” and “sympathetic” are considered feminine attributes and descriptors in a recruitment ad, while “results-driven,” “dominant” and “leader” are considered masculine descriptors. 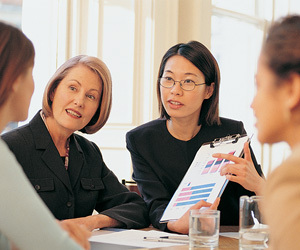 These words also dig up longstanding biases about who is likely to be “dominant” in the job setting or who may be focused on building a “community.” When using these types of words, managers and human resources staff will need to use a mixture of masculine and feminine attributes to maintain neutrality in the recruitment ad. Measuring the cost per applicant and cost per hire helps human resources departments determine the cost-effectiveness of their candidate recruitment strategies. This candidate data can be gleaned through a variety of methods. Once the statistics have been compiled, managers and human resources staff can then evaluate whether they’re getting their money’s worth, what strategies proved too costly and which efforts can be expanded upon. Begin by automating the candidate source data. This can be done within the human resources information technology (IT) department. An applicant tracking system can be implemented by the IT department and used to track basic data for each applicant, such as the source of his or her application or the website where the recruitment ad was placed. This data can then be analyzed by the human resources staff to determine the frequency of applicants from each source. Once reliable candidate source data has been gathered, managers can then begin calculating cost per applicant and per hire to determine the ROI. Use the automated program to run reports for “applicants by source” and “hires by source.” Other reports to run include raw applicant and hire volume. Compare these against the costs and fees charged by each source. Factors such as the hours spent by each human resources staff member or hiring manager may be difficult to calculate; however, these also add to the cost per applicant and per hire. Now, you know which of your recruitment ads and methods have produced the greatest ROI. Knowing your ROI for each applicant and hire source allows you to make adjustments as needed. Because recruitment budgets may change on a quarterly or annual basis, you may need to adjust your recruitment media and marketing on a similar schedule. Once you have identified which source or sources are giving your organization the best ROI, you can focus your budget and contracts there. You’ll also have the data to show different recruitment websites and venues so that you can get better ad placement or more services for your employee recruitment budget.